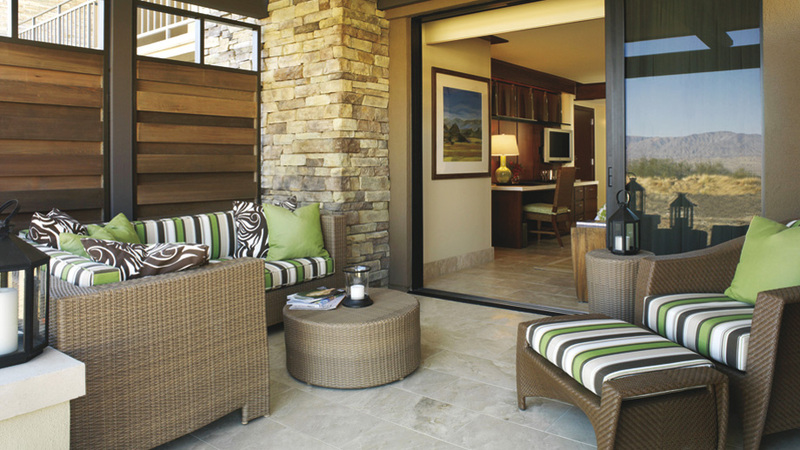 Ritz-Carlton, Rancho Mirage to open May 15. The Coachella Valley Music and Arts Festival will shine the spotlight on Palm Desert, Palm Springs and its surrounding California resort destinations once again this April but, in May, a new light will shine in the area with the opening of The Ritz-Carlton, Rancho Mirage. The hotel will open on May 15, in time to welcome those looking for an early summer retreat. The prominently-situated Palm Springs hotel will feature 244 resort rooms and suites, residences, a two-story luxury spa, more than 30,000 square feet of indoor/outdoor meeting space and destination dining with sweeping valley views. The resort embraces indoor/outdoor living with an emphasis on muted natural hues and tactile materials, as well as a stylized interpretation of the desert environment that creates a more harmonious transition between the luxury hotel and its surroundings. Dining venues will include a visually dynamic exhibition kitchen at State Fare Bar Kitchen and a restaurant specializing in steak, seafood and fine wine, The Edge. Perched bluff-side with unparalleled views of the Palm Springs valley, The Edge will offer the perfect gathering place for year-round cocktails, celebrations and stargazing. Resort amenities will feature cliff-side swimming and serenity pools and an alluring, artfully-designed destination spa. Guests will also be availed access to the desert’s finest curated golf and tennis experiences with exclusive arrangements at premier courses and clubs, accentuated by close proximity to a wide array of cultural and recreational activities – including more than 20 miles of hiking/biking trails, polo grounds, world-class shopping and more. The resort will begin taking reservations on March 17.